L.L.L4L.L.L. 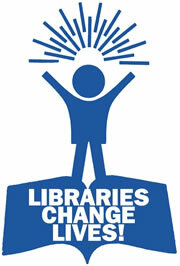 : We need school libraries and well supported teacher librarians. We need school libraries and well supported teacher librarians. There is a worrying draft of plans to dismantle School Libraries Information Literacies. If this draft is accepted SLIL will no longer be supporting TLs-no more Colleen or Lizzie. I am shocked and very disappointed about the loss of so many valuable services for teachers and teacher librarians. Des Gorman, Acting Deputy Director-General [des.gorman@det.nsw.edu.au], is looking for comments and responses about the proposed NSW CLIC structure, by Monday next week, ie 30th. In addition, please provide the NSW Teachers Federation with a copy of your detailed submission about the value of School Libraries statewide support, so they understand what will be lost and can argue for us. Send to mail@nswtf.org.au, Attention: David Ferguson. 1. No more specific State wide school libraries support. No more manager's role to set a vision, and communicate with other educational leaders. No more specific website programming/teaching support for teacher librarians. No more specific teaching and learning workshops to support TLs into the 21st century with digital tools and collaboration with classroom teachers. Instead, there is a proposed, Senior Curriculum Support Officer, Information Literacy to be located elsewhere in a Cross Curricula team with no mention of teacher librarians. In the School Libraries and Info Services team, Scan will continue with no review coordinator. The SCIS cataloguing team which currently has 3 librarians will be cut to 2 which will have a massive impact on cataloguing of new records. This team is at the forefront of cataloguing in Australia, cataloguing ebooks, websites, database, books on a huge scale. Please take the time to let your objections known. expand »1. Kim Procter, Manager, Strategic Projects and works to the General Manager, Learning and Development within the Office of Schools. Learning and Development is the portfolio in which Curriculum K-12 Directorate sits. Kim.Proctor@det.nsw.edu.au by 5 pm Tuesday 31 August.